An enhancement of the popular HCS12 family (and fully backward-compatible CPU), the S12X family utilizes the latest process technology. It boasts higher speed (40 MHz), more functionality, reduced power consumption and cost, and enhanced performance with the new XGATE on-chip memory-management and DMA module. Adapt9S12X products use a modular implementation that brings these advantages within easy reach of engineers and educators. The flexible design of the "Adapt" series of microcontroller products addresses the entire spectrum of training, evaluation, development, prototyping, and OEM use. 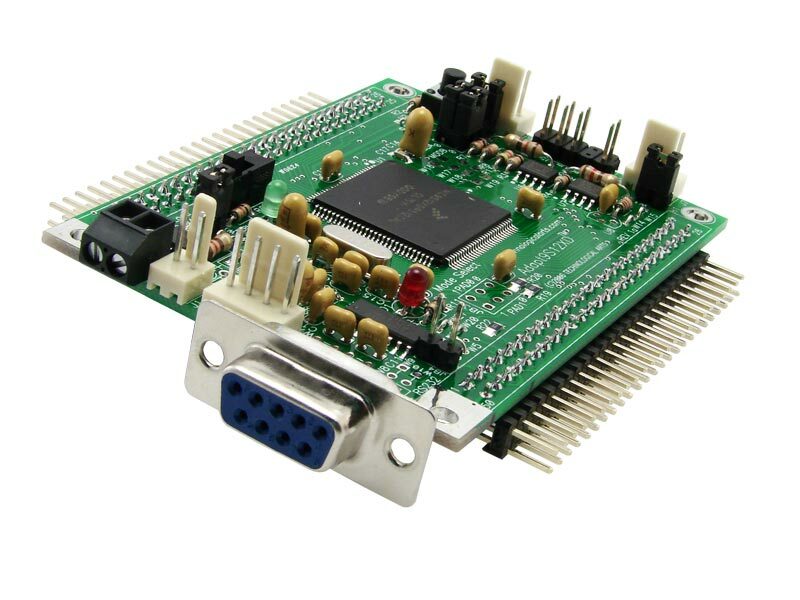 Implemented in an "AdaptS12" form factor board, Adapt9S12X modules are compatible with an entire range of application cards, prototyping cards, and backplanes, and usable with solderless breadboards ("proto boards"). The module design includes all necessary support circuitry for the MCU, as well as a 5-Volt regulator, RS232, RS485, and CAN transceivers on-board (where applicable). Modules are currently offered for 9S12XD, 9S12XE, and 9S12XS microcontrollers. program in C, BASIC, Forth, assembler, etc. noICE12: a low-cost full-function debugger for HC12 and HCS(X)12 microcontrollers. 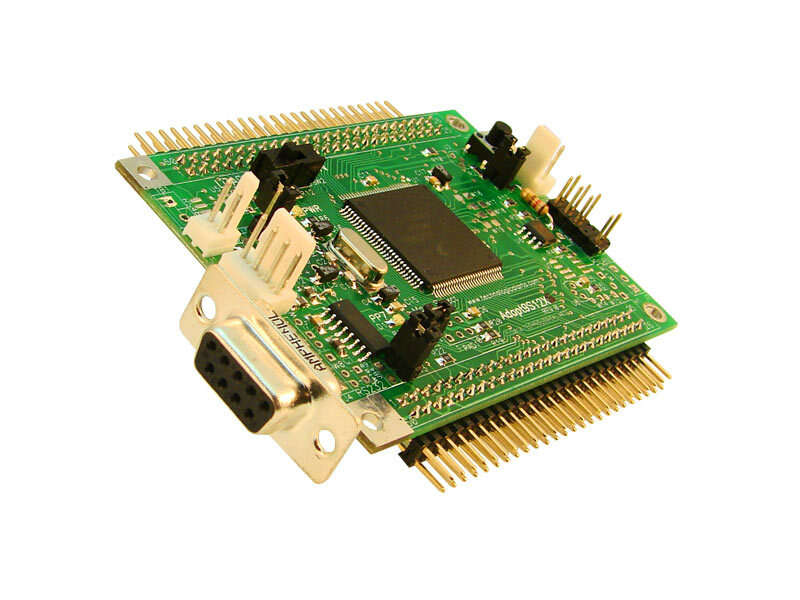 Works with on-chip Serial Monitor or uBDM12XG5 pod. Adapt9S12 form-factor module implementing 9S12XDP512 MCU and essential support circuitry. 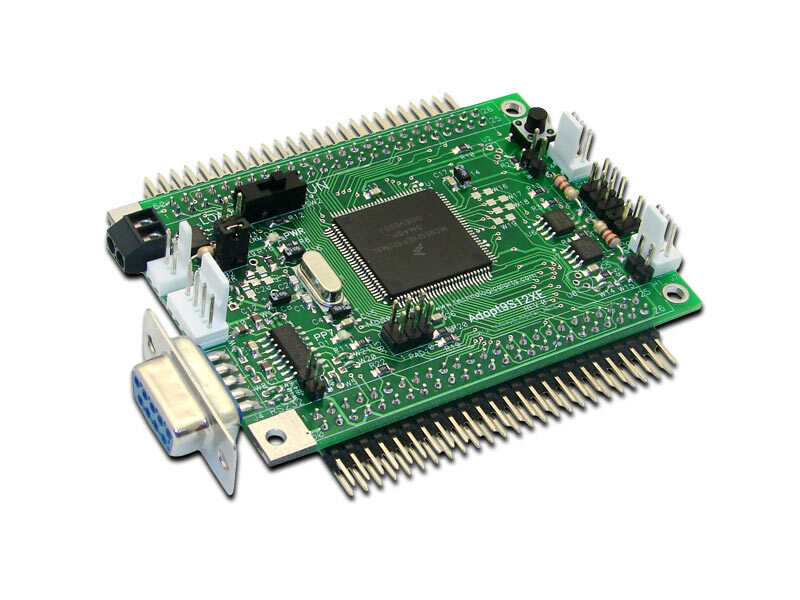 Adapt9S12 form-factor module implementing 9S12XEP100 MCU and essential support circuitry. Adapt9S12 form-factor module implementing 9S12XS128 MCU and essential support circuitry. Adapt9S12 form-factor module implementing 9S12XS256 MCU and essential support circuitry.